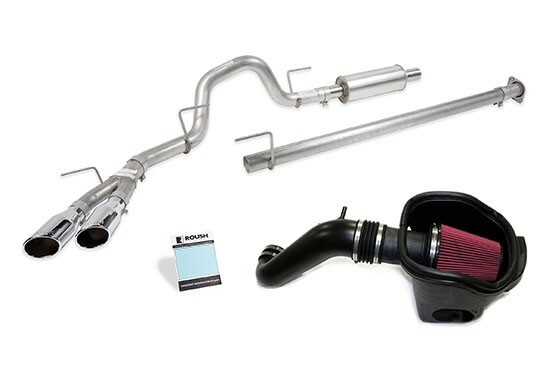 The ROUSH Level 2 Performance Pac for the 2015-2017 Ford F150 5.0L V8 adds an exceptional 32 RWHP and 28 lb-ft of torque to your stock truck. An optional 3-year/36,000-mile limited powertrain warranty gives you confidence to crank up the power. 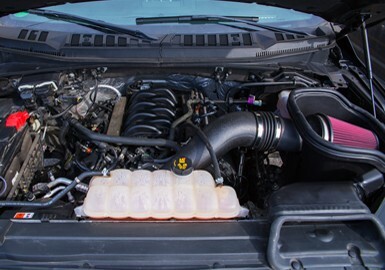 The included ROUSH cold air kit is fully tested and calibration certified to work seemlessly with our performance ECU reflash and adds a sporty sound to the 5.0L V8 engine. 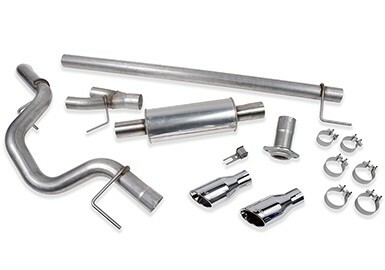 Our cold air kits are the best in the industry, designed and tooled in CAD to maximize available underhood space, and injection molded from premium automotive grade materials for long life. 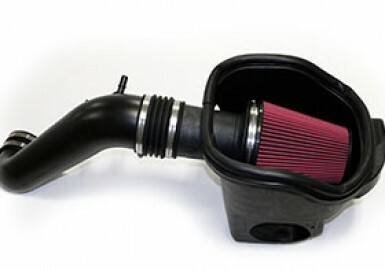 A lower intake restriction over stock, ensures you will never need to upgrade your intake. 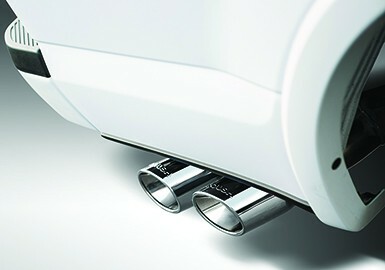 The ROUSH premium 3.0" cat back exhaust system is built from high quality stainless steel for long life and great sound. 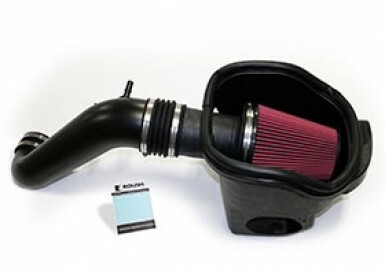 The system includes all hardware, and is fully tested to work as a system with the ROUSH cold air kit and ECU flash. Flash chromed 304 stainless steel tips give a sporty appearance to your F150. Roush calibration engineers have extensive OEM calibration experience and sweat the details to ensure strong performance without sacrificing driveability. Hundreds of hours spent in the lab and on the dyno, testing and validating our calibrations, set our Performance Pac calibrations apart from guesswork tuning. In addition to improved horsepower and torque, improved throttle mapping lends a sporty feel right off idle to provide amazing driveability improvements all through the power band.